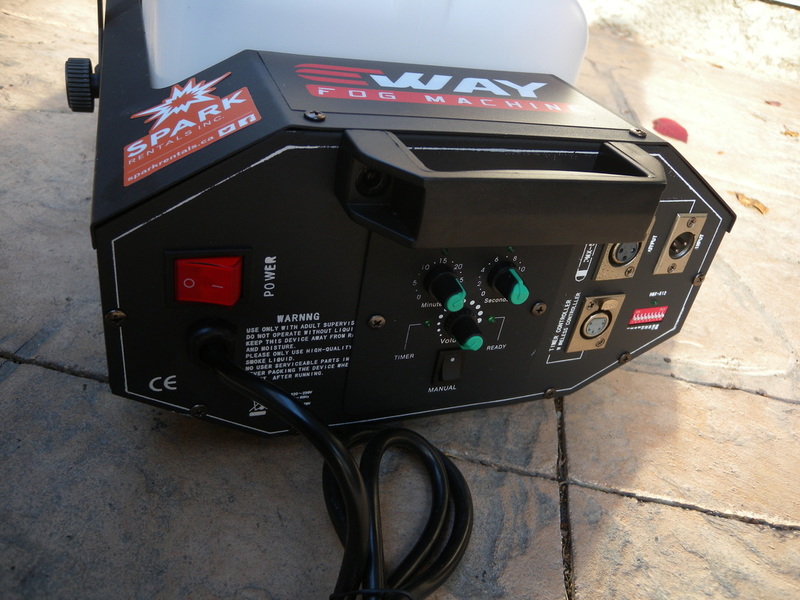 Fog Machine - Flash Fog 3000 Rental Winnipeg - Spark Rentals Inc. 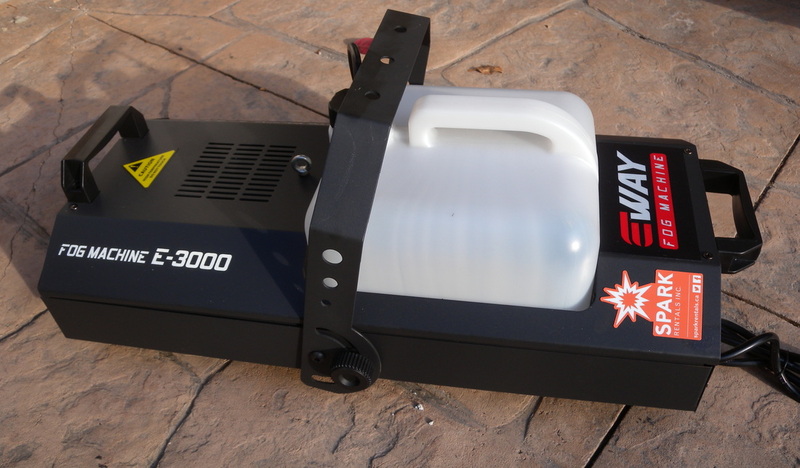 It doesn't get any better than the Flash Fog 3000 if power, fog output capacity, and control is your number one goal. Our strongest fog machine is best suited for medium to large sized venues where a greater fog output is required and a large amount of fog is required for an event. Fog helps bring out the full effect of lasers and LED lights. The fog machine can be used on the ground, or also hung on a T-Bar to modify which direction the fog will be released. Unlike our other fog machines, the Flash Fog 3000 includes a wireless remote and timer, for convenient control of the fog. Using the timer, fog will be released automatically at pre-set intervals. Otherwise, fog can be manually activated on the unit itself. 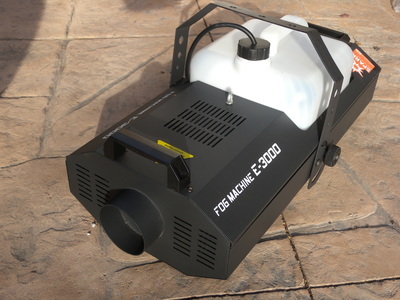 Since fog machines need to recharge between releasing fog, you will notice this extends the consumption rate as the machine will never run 'continuously' throughout the event.